Leaving Natchez, we crossed the Mississippi River into Louisiana. Levees and water, it seems, are everywhere. Traveling south, we soon entered Avoyelles Parish: one of 22 parishes (counties) defined as the Acadian region of Louisiana. Also known as Cajun Country, the history of the descendants of the people who now live here dates back over 400 years. In 1604, over 10,000 people left coastal France to a colony in present day Nova Scotia, Canada known as “La Cadie” or Acadia. Over the next 150 years, there were numerous power struggles in the New World between France and England, with the English eventually gaining an upper hand in the 1690s. In 1753, England gave the Acadians an ultimatum: pledge allegiance to the King of England or be expelled. 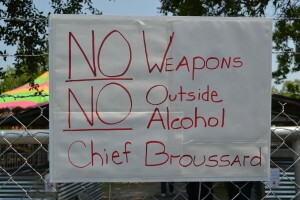 The Acadians refused. By 1755, a mass exodus was underway, with many working their way down the Mississippi River to Louisiana. Approximately 2,400 arrived by 1776 and all became citizens when the United States acquired Louisiana through the Louisiana Purchase in 1803. 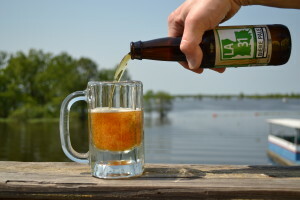 The regional terrain, dominated by impenetrable swamps and bayous, has left Cajun traditions, cuisine, music, and language largely unaffected by outside influences. There are nearly one million French-speaking descendants of the Acadians in South Louisiana today. 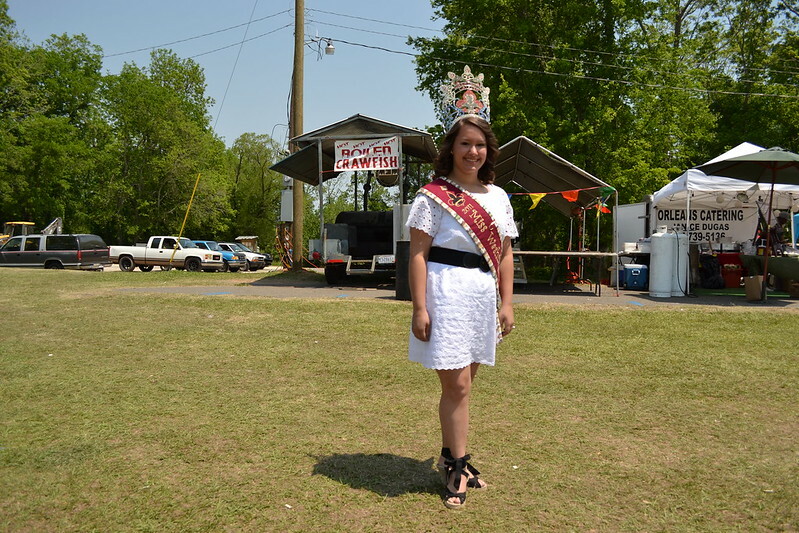 We stopped in Washington, Louisiana for their 12th Annual Catfish Festival. We paid a $5 cover and were soon treated to a band playing Zydeco. Love that washboard and accordion! 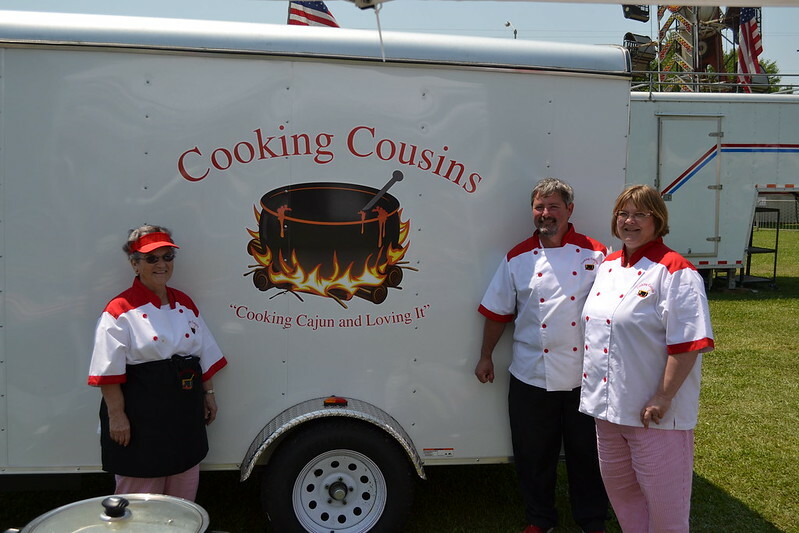 Looking for some catfish at the catfish festival, we wandered over to a table with a banner proclaiming “Cooking Cousins.” There, we met some nice folks from Breaux Bridge, Louisiana running a catering business. Announcing our hunger, Catfish Courtbouillion, a dish of catfish poached in a tomato based sauce served over white rice was offered. We asked if we needed carnival tickets to pay (we didn’t have any) and they said “don’t worry about it.” Free, and delicious too! Spotting 2011 Miss Washington, La, I asked if she’d pose for a photo. “Sure” she replied with a lovely smile. It’s soon becoming obvious that these Cajuns are very friendly people. After we checked into our hotel at Breaux Bridge (the crawfish capital of the world), we rode a few miles east to the edge of the Atchafalaya Swamp. 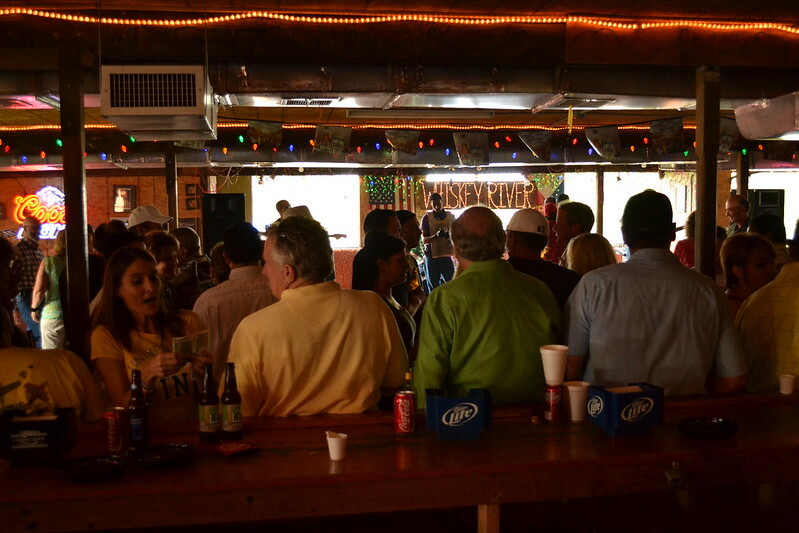 On Sunday afternoons starting at 4:00 p.m., Whiskey River Landing features live music. Located on the unprotected swamp side of the levee, the building has a particle board ceiling and raw plywood floor. The lower level has a stage, large dance floor and long bar. An upper level has another bar and restrooms. No food is served but there’s a trailer out in the parking lot offering non-remarkable eats. A $10 cover is paid and the five piece band starts right on time. The enthusiastic patrons are soon swinging away with such gusto that the barstool seated upon is thump-thumping to the hundreds of boots stomping about. 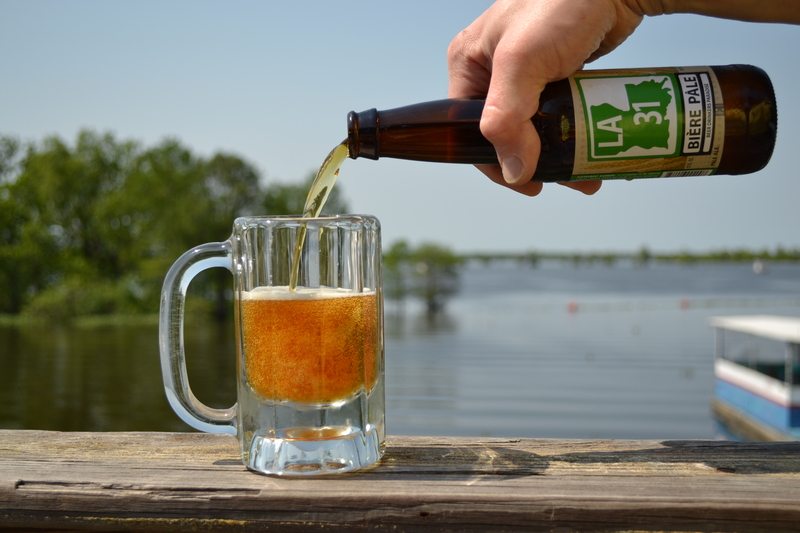 I spotted a beer I’d never had before called “LA 31″ (in honor of highway 31 that runs through these parts) and selected their pale ale. Very good, well balanced beer. I commented how much I liked the beer and before I know it, I’m introduced to the assistant brewer. Soon we’re talking with all the locals and they even get me (Mr. 2 left feet) out on the floor. These Cajuns know how to have fun! After dancing and drinks we stopped in Henderson, Louisiana for a bite at Pat’s Fisherman’s Wharf. I had read previously that this is a tourist place and to avoid. But there were a lot of Whiskey River people arriving so it couldn’t be too bad. I ordered up 2 pounds of boiled crawfish and a bowl of red beans and rice. The food was good and reasonably priced.